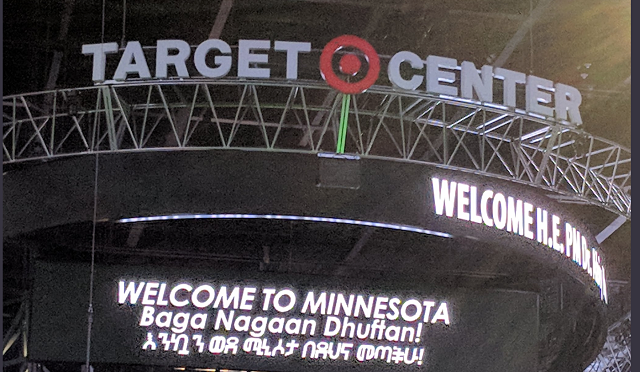 Ethiopia’s prime minister found a patient and exuberant audience of about 10,000 on Monday afternoon at Target Center in Minneapolis. Abiy Ahmed, 41, took office in April and has moved quickly to promote peace and diplomacy in East Africa. He has warmed relations with neighboring Eritrea, released thousands of political prisoners, ended a state of emergency in the country and moved to privatize Ethiopia’s state-owned enterprises. 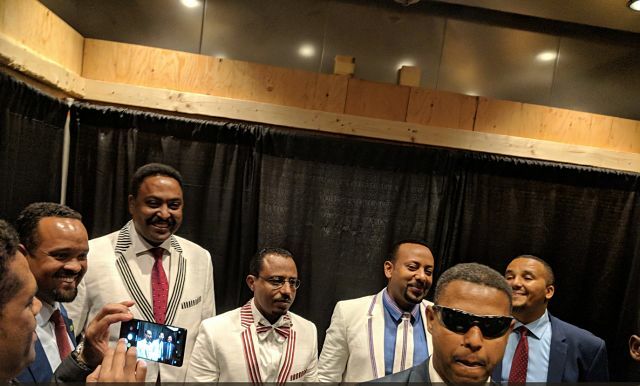 A member of the Oromo ethnic group, which claims a third of Ethiopia’s residents and an estimated 40,000 in the Minnesota diaspora, Abiy received a rock star’s greeting in the third city of his bridge-building U.S. tour. Four hours after the event was slated to begin, Abiy took the podium amid hundreds of waving flags of both Ethiopia and the Orono Liberation Front. Dursito Roro, an Ethiopian citizen living in Fargo, N.D., said she had to be here for the event. She poured out praise for a leader who kept a low profile until earlier this year: He respects women. He is making peace with other countries. He wants to unify their nation of rival tribes. College student Murkata Gata made the trip from Chicago to see Abiy speak. 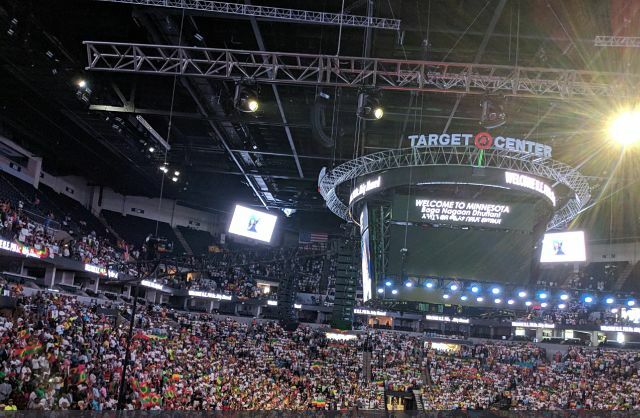 Hours before the event began, young men waved a banner on the stage reading “Qeerroo rules,” celebrating the Oromo youth movement that pushed Abiy’s predecessor, Hailemariam Desalegn, out of office. Abiy shared his speaking time with Jawar Mohammed, founder of Minnesota-based Oromia Media Network. A Qeerroo supporter, Mohammed faced terror-related charges in Ethiopia until Abiy had them dropped.